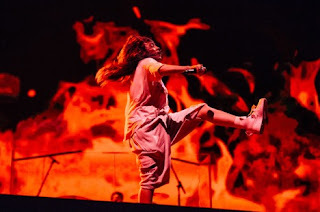 18 April 2019 (Toronto, ON) - Billie Eilish continues to shatter the ceiling in music with the release of her NUMBER 1 debut album WHEN WE ALL FALL ASLEEP, WHERE DO WE GO?. Released on Darkroom/Interscope Records/Universal Music Canada, the country’s leading music company, on March 29, her critically acclaimed full-length reached #1 in North America, UK, Australia, Canada, New Zealand, Netherlands, Belgium, Ireland, Sweden, Norway, Finland and many more, and is now the biggest debut of the decade (male, female or group) in North America and the second-biggest of 2019 for any album, shifting 313,000 units in the first week. The debut full-length has surpassed 1.3 billion Spotify streams globally, 250 million+ on Apple Music, debuting at #1 in 70 countries on Apple and 60 across the world on iTunes, and is currently the most ever pre-added album since the music platform launched. Listen to WHEN WE ALL FALL ASLEEP, WHERE DO WE GO? HERE. Today, Billie Eilish and legendary Japanese contemporary artist Takashi Murakami made their video collaboration for “you should see me in a crown” available worldwide on YouTube. Mutual fans of each other’s work, Eilish and Murakami met in Japan during her tour in 2018 and soon began working on this incredible piece of anime using special motion capture technology and incorporating Billie’s popular BLOHSH character and apparel, as well as Murakami’s iconic Flowers. Murakami reveals: “8 months from start to finish, I sprinted throughout the production process with my animation team striving to realize Billie’s vision in an unprecedented way.” Billie continues, “Murakami is an incredible visionary. It was such an honor to collaborate with him and have our brains and our worlds collide for this video.” Watch HERE. 18 APRIL 2019 (TORONTO, ON) – On June 7, A&M/Ume/Universal Music Canada is set to release Janet Jackson’s iconic mega platinum-selling third album Control on single vinyl in two different colour options: black and translucent red. This will be the first time Control has been reissued on vinyl since the album’s initial release on February 4, 1986. Fans who attend her newly announced Las Vegas Residency, Metamorphosis, opening at the Park Theater at Park MGM, will be the first to purchase the vinyl albums that will be available in the store with other incredible items. Over the course of its relentlessly catchy and undeniably danceable 42 minutes, Control instantly established Jackson, along with her co-writers/producers Jimmy Jam and Terry Lewis, as perennial pop and R&B innovators. (The three of them continued to experiment and break new ground together on a number of subsequent best-selling releases, including 1989’s Rhythm Nation 1814 and 1993’s janet.) Control is internationally recognized as a singular fusion of musical styles including rhythm and blues, funk, pop, soul, disco, and modern synthesized percussion. Control also solidified the fact that Janet Jackson had truly arrived as a liberated and noteworthy artist, one who ultimately emerged as a global superstar and a model for independent women the world over. Led by five chart-busting hit singles — “What Have You Done for Me Lately,” “Nasty,” “Control,” “When I Think Of You,” —with their complementary, tightly choreographed music videos — and “Let’s Wait Awhile,” Control became Jackson’s first No. 1 Pop album. The album also made Billboard chart history for having the longest continuous run on the Hot 100 with singles from one album, ultimately tallying a remarkable 65 consecutive weeks from that perch. To date, Control has sold more than 10 million copies worldwide. Ms. Jackson is also gearing up for what promises to be a busy year ahead. Not only was she recently inducted into the Rock & Roll Hall of Fame’s vaunted Class of 2019, but her Las Vegas Residency, evocatively dubbed Metamorphosis, begins in May and is currently scheduled to run for 15 performances in total through August. Jackson will also make her debut at Glastonbury Festival 2019 and Montreux Jazz Festival this summer. 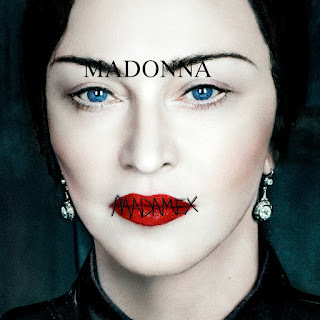 17 April 2019 (Toronto, ON) - Madonna’s highly-anticipated 14th studio album Madame X will be released on June 14 globally from Live Nation/Interscope Records/Maverick/Universal Music Canada, the country’s leading music company. The first track from the album, “Medellín” with Colombian superstar Maluma, will be Zane Lowe’s World Record today on Apple Music’s Beats 1. Madonna will exclusively unveil the world premiere of her video and single “Medellín” with Maluma, during a globally televised MTV music event, “MTV Presents Madonna Live & Exclusive: ‘Medellín’ Video World Premiere”, on Wednesday, April 24 at 9:00 pm BST / 4:00pm ET/ 1:00pm PT. 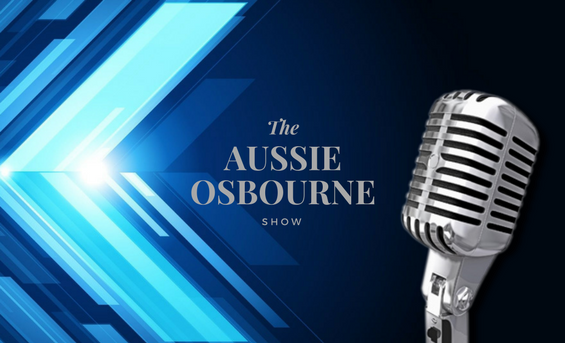 Madonna will join British DJ Trevor Nelson and fans live from London for a conversation about the influences of her new album, and the creative forces behind her transcendent career. “Medellín” collaborator and Colombian pop star Maluma will join live from Miami. Madonna will also take questions during the global event via satellite from MTV’s Sway Calloway and fans in New York City, with additional MTV-hosted events in Milan and São Paulo. Influenced creatively by living in Lisbon, Portugal over the past several years, Madame X is a collection of 15 new songs that celebrate Madonna’s career-long affair with Latin music and culture as well as other global influences. Singing in Portuguese, Spanish and English, highlights on the album include “Medellín”, which was co-produced by Mirwais and captures the spirit of Maluma’s hometown, the anthemic song “I Rise”, the Jamaican dancehall vibes of “Future” featuring Quavo and co-produced by Diplo, as well as the sonically innovative Mirwais produced “Dark Ballet”. Recorded over 18 months in Portugal, London, New York and Los Angeles, Madonna collaborated on Madame X with longtime producer Mirwais, as well as with producers Mike Dean and Diplo, among others. Madame X will come in a standard and deluxe version of the album. 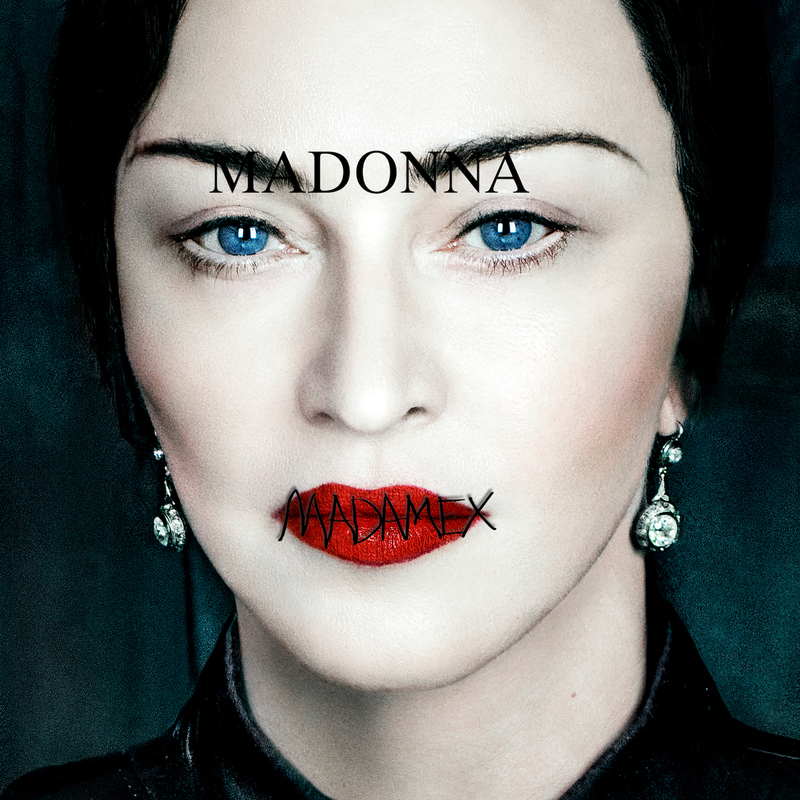 A Sunrise Records CD version will feature the deluxe version of Madame X plus an additional two tracks. Pre-order the Sunrise deluxe at any Sunrise Records location now. A variety of special bundles of Madame X with one-of-a-kind limited merchandise, as well as special vinyl and cassette versions of the album, are available now for pre-order as well HERE. 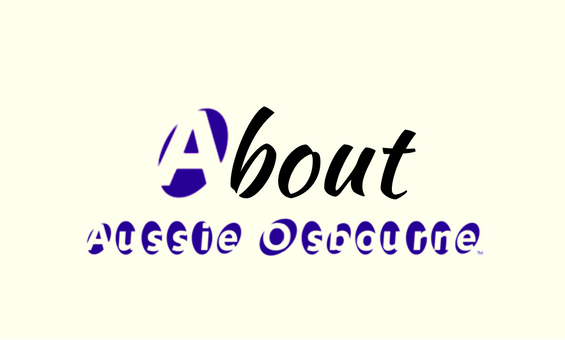 Further details regarding the album, videos and appearances will be announced in the coming weeks.